Nigel Farage was seen leaving the Ecuadorian Embassy on Thursday, sparking rumors he was visiting WikiLeaks founder Julian Assange. 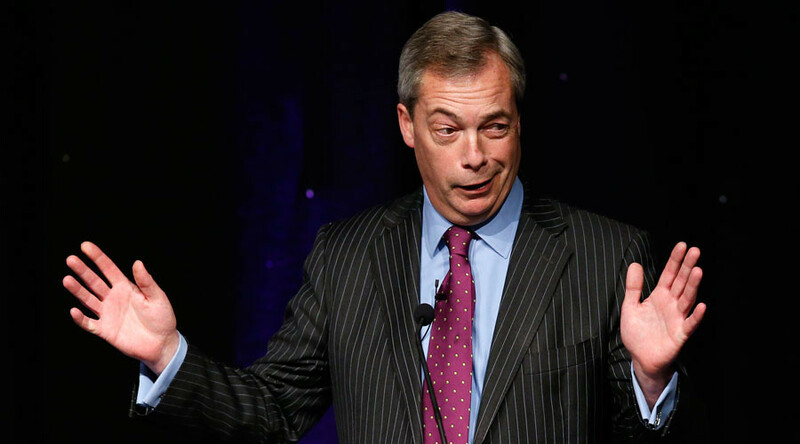 Farage told a journalist he could not remember what he was doing there. The former UKIP leader left the Knightsbridge building around midday, where Assange has been holed up for the last five years. 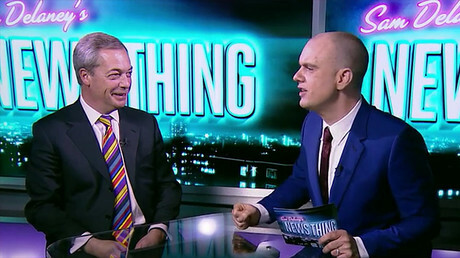 Farage reportedly spent around 40 minutes in the building and was accompanied by Christian Mitchell, the head of operations at radio station LBC, where Farage hosts a regular show. Approached by BuzzFeed News as he left to get into a car waiting around the corner, Farage said he could not remember what he had been doing in the building. Was he talking to Assange? Why? Messages for #Trump or #Breitbart? His visit comes just two days after Assange’s WikiLeaks published thousands of documents it claims reveal secrets about the CIA hacking into computers, cellphones, and even smart TVs. Assange has been hiding out since 2012 to avoid extradition to Sweden over sexual assault allegations. British police keep the building under close surveillance. He has broadcast over the web and given speeches from the balcony during his time in the embassy. It is possible Assange was interviewing Farage for a broadcast he is planning, according to the Daily Mail, or that Farage, who presents a show on LBC and is a Fox News contributor, may have been interviewing him. There are no known links between Farage and Assange. Assange was, however, seen by some as pro-Donald Trump during the 2016 US election, and Farage has emerged as a close ally of Trump. Assange has hosted a number of famous and controversial figures during his time inside the embassy. Singer Lady Gaga, actress Pamela Anderson, and former footballer Eric Cantona have visited. The Ecuadorian Embassy refused to comment.